In the beginning, it felt as though all the forces were preventing me from entering the United States. My flight was booked for the 21st of December. Less than 24 hours before my departure, in the middle of my farewell party, I received a text telling me that my flight was cancelled. The link to reschedule showed no available flights in the next couple of days. After a massive panic attack, I submitted a request for refund and booked my ticket with another airline. The next day when I arrived at the airport, I was told that because I bought my ticket at the last minute, I was put on standby and she wasn’t sure if I could board the flight. I googled several breathing exercises while she connected me to the seating officer. So there I was, waiting and wondering whether I should take this as Australia loving me too much that it doesn’t want me to leave, or America simply doesn’t want me in the country. Having been here for more than a month now, I can safely say it’s probably not the latter. I quickly forgot about my struggles when I landed. Since I had arrived in the US two weeks before my program started, I had the perfect opportunity to travel around and immerse myself in the culture I have only previously seen on a screen. 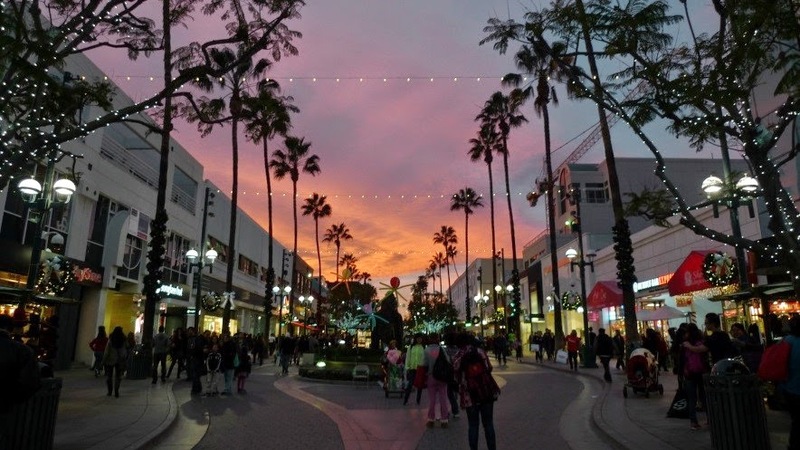 In Santa Monica I fell in love with the city with a beautiful name and an even more gorgeous sunset. In Los Angeles I found out my hand was the exact same size as Emma Watson’s, and was so disappointed when I didn’t spot Ryan Gosling at Hollywood. In New York I watched my first ever Broadway show, and had the song Phantom of the Opera stuck in my head for the remainder of my trip. I traced the steps of Patrick Dempsey and Amy Adams in Enchanted at the famous Central Park, and tried - without success - to find the hill where BBC shot my favourite episode of Doctor Who. I spent a day going through the massive collection at the Met, and braved the cold atop the Empire State Building just to catch a glimpse of the entirety of the famous city. 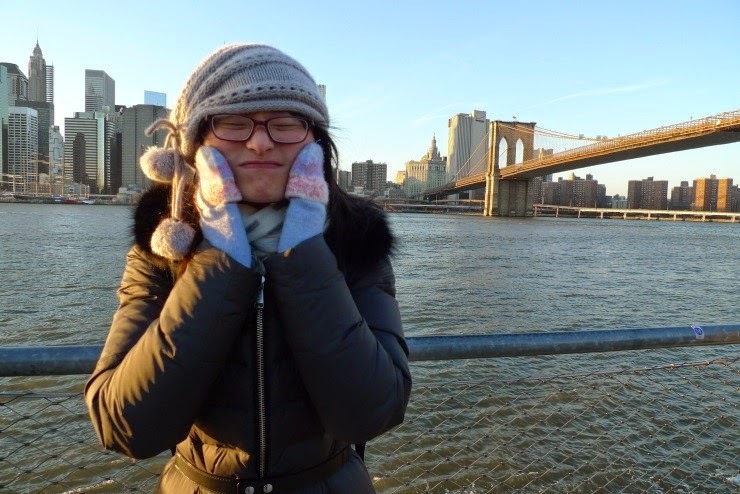 It was so cold I have developed my own face warm-up routine. I saw snow for the first time in DC. It was the third day of my placement - and I almost wished I didn’t have work so I could go catch a snowflake or build a tiny snowman or whatever people do with snow. I say ‘almost’ because the place I am interning at - the East-West Centre in Washington - is a lot of fun too. On the first weekend I went down to Orlando and had the chance to wear a t-shirt again. There I spent two days chatting to Stan, the Knight Bus driver, trying on my new Hogwarts ropes and sipping hot Butterbeer in Hogsmead. I came back from my trip refreshed and ready to start the second week of my internship. Those are the places etched in my memory. So far. 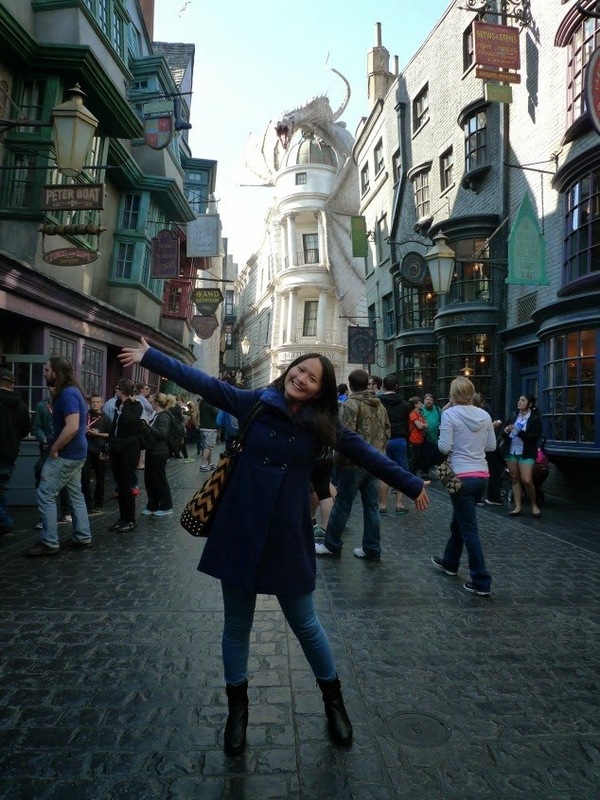 Doris Xu is an undergraduate student at the University of Sydney Business School. She is currently in the United States as part of the Washington DC Placement Program, offered by the Business School in partnership with the United States Studies Centre.